Why didn’t I see this coming? The first time rowing in German waters made me queasy; why should I expect anything different on land? With the rowing season wrapped up for the most part, winter trainings have begun. There’s a group that met Tuesday for the first time this season; there’s another group that meets Thursdays that I haven’t managed to attend yet. With opera season in full swing, I’ll be lucky to make it to any of them. If I want to socialize with rowers, I need to find a way to get to these workouts. Sure, I can do this alone at home, but the variety and the social aspect would do me good. Like the first time I made the trek to the rowing club, I had to find my way to a new location for the Tuesday training. Thanks to a tip from our neighbor, I knew to take the bus by our house to reach the S-Bahn. On the double-decker bus I found a front-row seat on the top and enjoyed the view as we headed toward the Schöneberg station. As we approached my stop, I made my way down the circular stairs to the rear door of the bus. When the bus stopped, I pressed the button on the pole to open the doors. They wouldn’t open. I pressed again. Nothing. A short-haired woman standing next to me said something sharp to me in German that I took to mean that this door is broken and doesn’t work. But that didn’t make much sense. I could not think of any useful reply so I said nothing and just hurried up the aisle toward the middle door, but the bus pulled away before I could attempt to open it. I missed my stop! I thought, but the bus slowed again a block later. This time the doors opened like a charm and a stream of people got off with me, and I sheepishly realized I’d been trying to open the doors a block early. Of course the doors wouldn’t open. I made my way up the stairs to the train platform, and thought about words. How I work with words all day; I rework other people’s words, I revise and rewrite, I write new text, I write blogs; I read and write emails. All day long, my voice is still, but my mind is a whir, and I do nothing but move words around on the page. But once I step outside our front door, words fail me. I got off the train at Lichterfelde West, in a neighborhood I’d never seen before. It was already dark at 5:30 p.m., but I found the street I needed to follow and marveled at the lovely town center built around the train station, the collection of shops clustered together before the area gave way to residences. Unlike our apartment-rich neighborhood, here were single-family homes, large mansions, cobblestone streets. It was a good 15-minute walk to the school through the neighborhood. As I got close I saw two figures ahead of me park their bikes and walk across the dark school courtyard. I followed them into the Sporthalle where the practice would take place. I was a few minutes early, but the group was starting to gather. I stepped into the gym where a group of men were in a semi-circle around a basketball hoop, tossing the ball to each other and into the basket. I edged along the side of the gym but they called me over. I joined their group, and soon someone heaved the ball in my direction. I tossed it toward the hoop and missed the board completely. 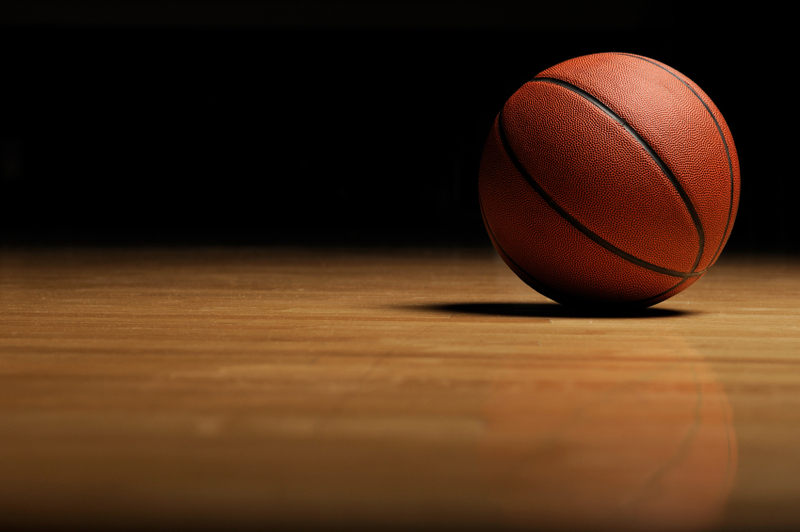 Inside I groaned; I hadn’t touched a basketball since mid-high school. A few women arrived, and now we were seven. Four of them had white t-shirts, so they formed a team, and the rest of us in dark or colored t-shirts made the other one. Soon we were running back and forth, playing basketball, and I wracked my brain for how this game is played. No travelling! came Miss Lippincott’s voice from back in eighth grade. I took a few shots and even made a few baskets. With no practice at all I knew I was very bad, but I could tell that most of the others were just as bad or even worse, so I stopped caring. And I realized, as I ran and passed and dribbled and took shots, that I was grinning. I was having a blast. I didn’t need words for this. More rowers arrived and joined the game. By now there were so many people I was afraid I’d slam into someone, but it didn’t happen. All this back and forth made my legs tired and I found myself sliding my sneakers across the slippery floor instead of picking them up. It hit me that I’d neglected to bring water. At about 6:15 a rower I recognized from the club showed up, dressed in a red unisuit, the kind you’d wear for an official regatta. Dirk was something like the vice president of the club, and he had struck me as very serious (and all-German) in my limited dealings with him at the club about my membership, and the unisuit left no doubt that he was remarkably fit. He would be running the workout that evening. We ended our game and Dirk had us run in circles around the gym with a few variations along the way (knees high, run backwards, and so on). Then he put on some loud music and led us through an active warmup, though I must say I was already flushed at that point. The toughest part of this round of exercises was a slightly bouncing squat that you had to hold for a minute and a half. I saw others knocking off early and felt good that I was hanging in there. Then Dirk started the series over and I realized we’d be holding that pose again. And this time my stomach started to rumble. “Yeah, what was that?” she asked. “My stomach,” I told her, and it gave a low groan again. “Whoa,” she said. So maybe, just maybe, I shouldn’t have attempted this practice yesterday. Or it’s possible I should have eaten a larger lunch. Or had a big snack ahead of time. Certainly I should have remembered a bottle of water. Now Dirk had us pull out exercise mats and weights. He pulled a large metal contraption down from the ceiling like a ladder, only all the lines were vertical; no rungs at all. We would have to shimmy our way up the pipes by our hands, our bodies dangling under this odd ladder. Oh boy. The real exercise had not yet begun. There were fourteen stations in all, and each of us paired up with a partner. I joined Antje, a woman I’ve rowed with and who was kind enough to speak to me in English. One minute per station, then directly on to the next exercise, no break in between. By the time I got to the jump rope I was feeling decidedly lightheaded. My stomach was churning and I didn’t know what to do. I dutifully followed Antje to the uneven bars where we did pullups. I knew I was going to have to get out of there soon. I had really wanted to try to shimmy my way up the odd ladder, but I didn’t dare attempt it in this state. I thought I might pass out. I slipped out of the room mid-exercise and drank as much water as I could with my hands from the sink. I sat for a moment in the locker room, and Antje came in and offered me an apple, but I declined. I thanked her and returned to the gym, feeling a little better, and did the plank, the pushups. We’d reached the end of round one. I took advantage of the break to run back for more water from the sink. By the time I returned they had started the second round. I could hardly believe it; at home we might do rounds of five minutes of steady exercise like this, with a full minute’s break in between. Here it was more like 15 minutes of exercise, with maybe a minute’s rest, then do it again. I tried. But with every passing minute I was feeling greener. My face felt clammy. My head was spinning. I sat down on the bench and watched all these stalwart Germans gamely pushing through. What was wrong with me? I felt as nauseous as I had my first time out on the bouncy waves of the Wannsee. I sat until the round ended. Then the group formed a circle and started some cool-down stretches. I can do this, I thought, and I stood beside Antje, reaching my hands out to stretch. Nope. Couldn’t do it. With a quick “I have to leave” to Antje, I grabbed my bag and mouthed a “Danke” to Dirk, ignoring the rest of the room. I ducked into the women’s locker room, where I plunked myself down on a bench and shivered and took deep breaths until I felt my stomach right itself. Here I was again feeling mighty alone in a locker room under früh dunkel skies, a long trek home ahead of me. I sat with my coat on for a while and considered waiting until the women returned to the locker room so I could tell them… tell them what, exactly? We hadn’t spoken in the gym; what could I have to say now? Antje and Dirk knew I was leaving, that was the important thing. I’d email them both once I made it home. That would have to suffice. I needed to get out in the fresh air. On the walk back through the neighborhood, the cool air refreshed me. I forgave myself for whatever weakness I had succumbed to. Was it my longstanding digestion problem? My lack of food? Was I not strong enough for the long German workout? I brushed all this aside. Surely if any of the others had come with an upset stomach, they too would have bailed out early. But I was sorry this had to be the first impression I’d leave on my winter pals, my lifeline to socializing. Let it go, Jill, I told myself. Let it go. I walked in the familiar silence that seems to characterize my time in Berlin. I listened for the hiss of the S-Bahn. Another double-decker bus, a short walk home. I unlocked the door a little past 8 p.m. Our youngest had just fallen asleep; no chance to wish her a good night. The others were in bed, reading, the covers pulled up against the chilly night. No one asked how it went. I reheated some leftover lasagna; I drank a lot of water. I took a hot shower and I fell into a deep, welcome sleep. This entry was posted in Rowing and tagged basketball, Berlin, double-decker bus, Lichterfelde West, opera, Rowing, S-Bahn, workout on November 6, 2013 by Jill M.. When I moved to Europe I remember taking some time to adjust to the food. I could relate while reading. Loved reading this. Thanks, Allen! Glad to hear it’s not uncommon to take a while to adjust to the food. Thanks, Merie! Great suggestions. I just made my own ginger tea.